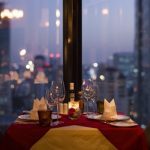 Festive Season 2018-2019 at The Continent Hotel, Bangkok, located directly at Asoke, will be a feast for the senses. Christmas including pre-Christmas festivities are themed around the celebration of a Milestone- The 200th year anniversary of the famous Song “Silent Night Holy Night” while New Year’s celebrations portray the theme “Shine”. The Festivities start right at Asoke and at the very Front Entrance of the hotel. In partnership with The Austrian Embassy Bangkok, the story and history of Silent Night will be displayed via an Exhibition. Artisan Austrian Baker and Patisserie – Landhaus Bakery in partnership with The Continent Hotel will enhance the ambiance with a Food Truck of daily fresh Breads and Austrian Bakery items. The Advent food truck is available until end of December 2018. 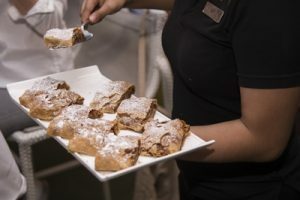 Festive Weekend Brunches at Medinii Italian Restaurant, features classic European and Asian flare, traditional Austrian Dessert Signature “Apple Strudel” from Landhaus Bakery in Ari. Saturday brunches are more state of the Art and feature DJ Noon that has compiled and mixed Christmas tunes. Dine with the DJ is a perfect family and friends table of 6 to 8 people that can be booked with your personal DJ at the table. Sunday brunches are fine-tuned with tasteful live performances of Jazzy Christmas Songs, performed by none other than well trained vocalists and instrumental musicians of Mahidol University and Princess Galayani Vadhana Institute of Music playing Flute and Piano. Festive Weekend Brunches are available every Saturday and Sunday for the whole month of December 2018. Price is THB 1,199++ (1,412 net)/person. Save 10% for early booking. You can also join “The 200th year anniversary of Silent Night” on X’Mas Eve & X’Mas Day and “Shine” on New Year’s celebrations at other outlets as per your preference here. A Free Flow of Love & Peace @ Medinii Italian Restaurant Price starts from THB 1,999 ++ (2,353 net)/person. THB 2,299 ++ (2,706 Net) for a Guaranteed Window table, THB 2,499++ (2,942 net)/person in a semi private Dining room. Thai Tasting Menu in semi- alfresco style @ Bangkok Heightz. Price is THB 1,999++ (2,353 net)/person. All Dinner packages allow free access to the Countdown Party where H2O, the outdoor pool on the 37th Floor, takes center stage (in and on the pool) with Star German DJ, Double Deuce spinning Urban tunes and Choreographed Street Dance Shows. Gift voucher of all promotions are available for the gifting seasons.